You had us at "buy-one-take-one." (SPOT.ph) We're halfway through December and there's definitely no stopping now on all the feasting! 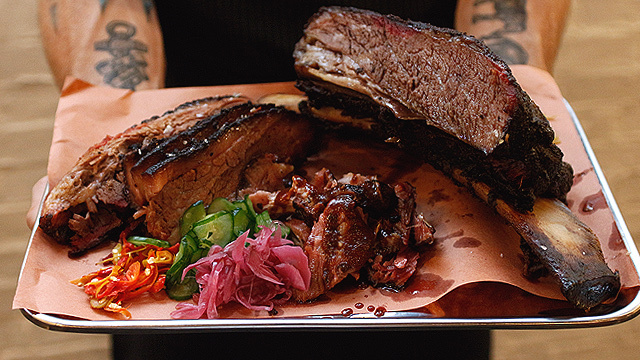 We found two-for-one deals on steak, burger, chicken, and pizza. 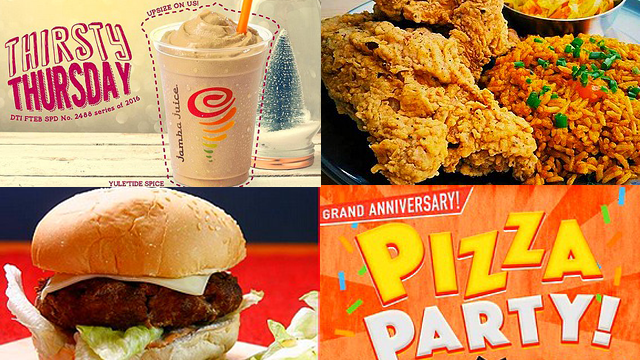 Irresistible eat-all-you-can offers are also on our list this week. Perfect for Christmas gatherings on a budget! 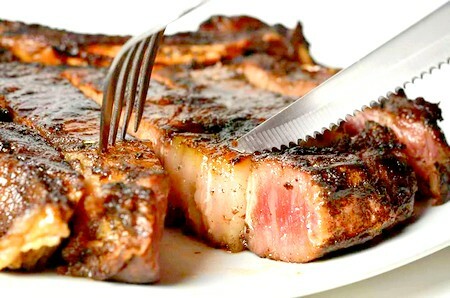 Feast on a two-for-one Angus steak meal for just P495 at Goodfellas Steaks and Burgers. Buy any steak of your choice and get a free charbroiled Angus steak, served with 15-spiced house gravy, buttered mixed vegetables, and fresh mashed potatoes or rice pilaf, garlic rice, or plain rice. Goodfellas Steaks and Burgers is at 56 T. Gener Street corner K-1st Street, Kamuning, Quezon City. Get four pieces of Wicked Oreos for free when you order four Hunger Buster Meals, which can be either a Wing Meal or a Tenders Meal, priced at P145 each. Promo runs until December 31 and is not valid in conjuction with other promos or discounts. See a list of Flaming Wings branches. 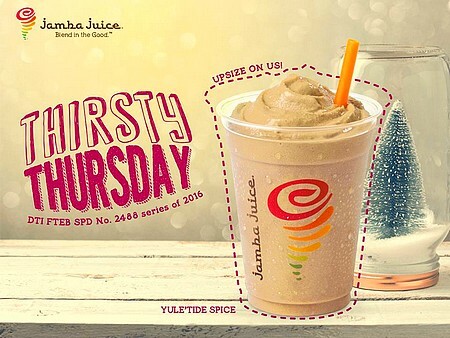 Make it a Thurs-date with Jamba Juice! Order any drink and get a free upsize! Promo is valid in all branches nationwide, except for NAIA. Time to get juicin'! Dig into the Route 88 Burger! 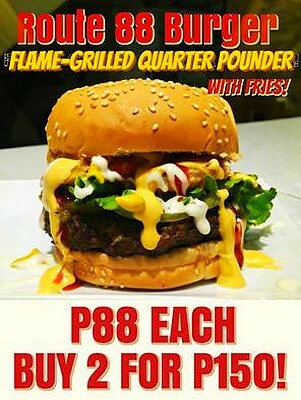 Enjoy a flame-grilled quarter pounder with fries for just P88 or order two for P150. You don't want to miss this! Route 88 is at 88-A Anonas Street, East Kamias, Quezon City. 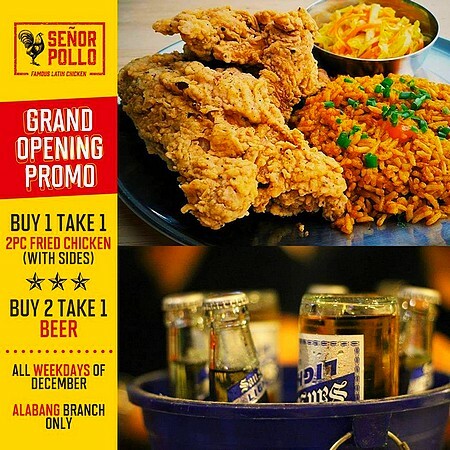 Take advantage of the Grand Opening Promo at Señor Pollo Alabang Town Center! Enjoy buy-one-take-one offers on every order of two-piece fried chicken with sides and beer. Promos are valid on all weekdays of December. Señor Pollo is at ATC Corporate Center, Alabang Town Center, Alabang Zapote Road, Muntinlupa City. Treat yourself to all the wings and ribs that you can eat at Tomahawk Chops and Grill for just P495! 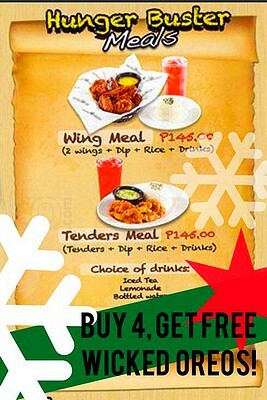 You can choose from the many flavors of wings that comes with unlimited rice and iced tea, and choice of one side. Promo is valid from 11 a.m. to 2 p.m. for lunch on weekdays, 11:30 a.m. to 3 p.m. for lunch on weekends, and 6 p.m. to 11 p.m. for dinner any day. Tomahawk Chops and Grill is at 56-A East Capitol Drive, Kapitolyo, Pasig City. Come celebrate Torch Greenhills' first anniversary! 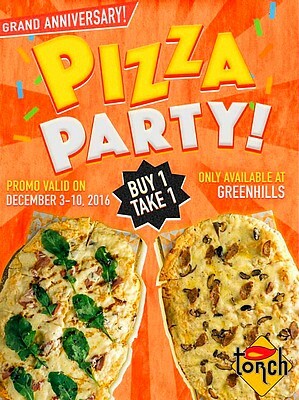 Avail of the Grand Anniversary treat of buy-one-take-one on all pizzas until December 10 only. Round up the troops and head on over for a pizza party! 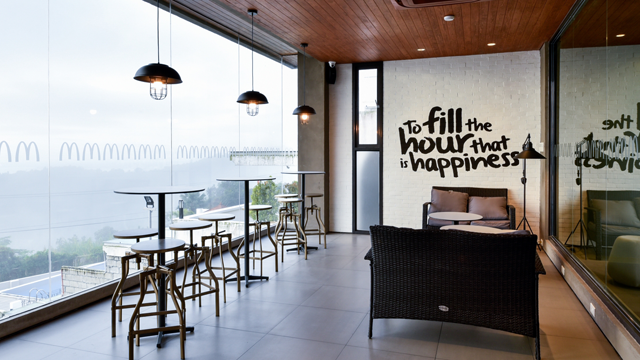 Torch Greenhills is at 63 Connecticut Street, Greenhills, San Juan City. 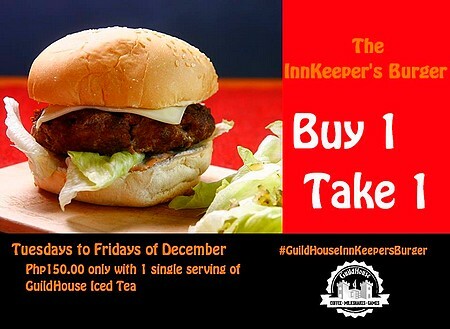 Order any grilled burger from Guildhouse Cafe and get another one for free for just P150. The offer comes with a single serving of GuildHouse iced tea. Promo is valid from Tuesday to Friday until December 30. GuildHouse Cafe is at SP & A Building, Xavierville Avenue corner Jocson Street, Loyola Heights, Quezon City. 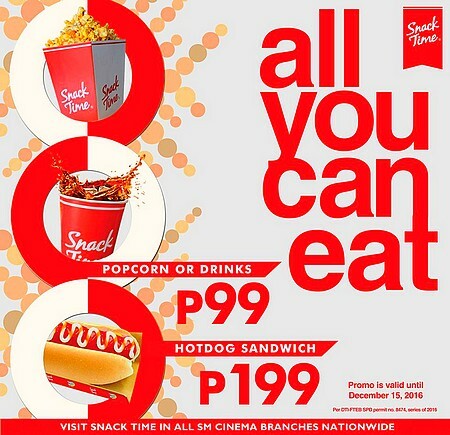 Munch on unlimited popcorn or drink bottomless soda for P99. If you have an even bigger appetite, you can stuff yourself with unlimited hotdog sandwiches for P199. Promo is valid in all SM Cinema branches nationwide until December 15. Purchase of movie tickets is not mandatory for this promo, except for Director’s Club Cinema. See a list of SM Cinema locations. 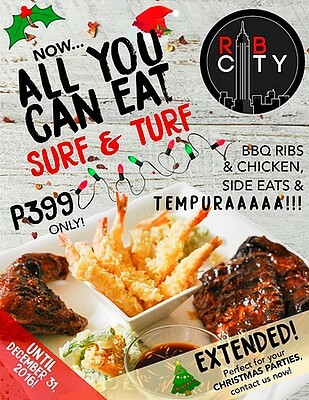 Because it's the holidays, RB CTY has extended its All-You-Can-Eat Surf and Turf promo! 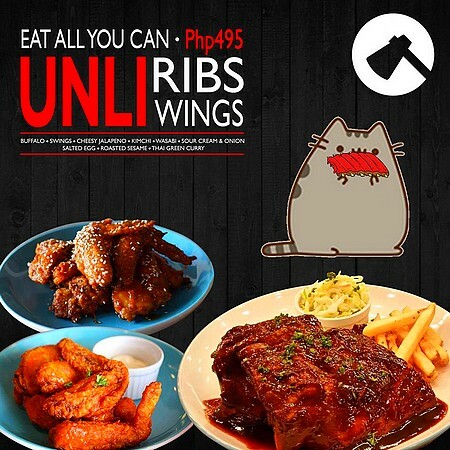 For P399, enjoy unlimited BBQ ribs, grilled chicken, side eats, and tempura. Promo is valid until December 31. RB CTY is at 63 Maginhawa Street, UP Village, Quezon City.